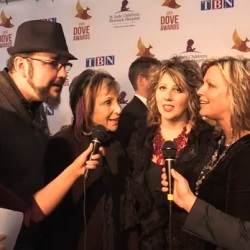 (NOVEMBER 2014) The Isaacs give an update about their lives and even burst into (beautiful) song in this brief interview from the 2014 Dove Awards red carpet. TaRanda Greene Sings Her Heart Out on "Stronger"
(NOVEMBER 2014) Gaither Homecoming friend and Stowtown Records artist TaRanda Greene shares a very personal musical journey on her triumphant new CD, "Stronger." 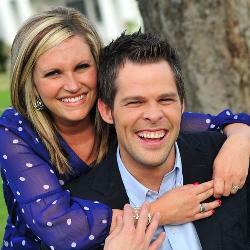 What's Happening with Jason Crabb? 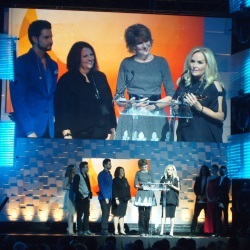 (NOVEMBER 2014) In this interview, Jason Crabb shares about his faith, his music, trials in his life and exciting things coming up! 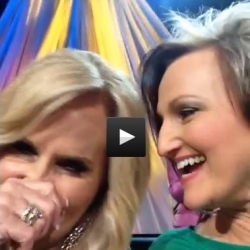 (OCTOBER 2014) GMA interview with Karen Peck before the 45th Annual Dove Awards held in October 2014. 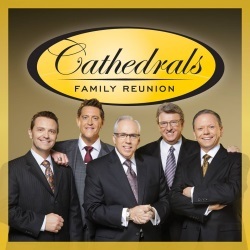 (AUGUST 2014) The long-anticipated Cathedrals Family Reunion CD and DVD are now available for preorder! 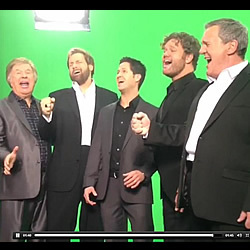 (JULY 2014) Gaither Studios offers a little taste of what we can expect on the new Gaither Vocal Band album set to release this fall. 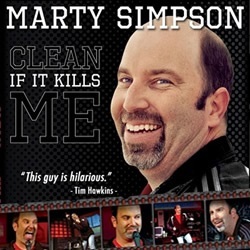 Comedian Marty Simpson, "Clean If It Kills Me"
(JULY 2014) Christian comedian Marty Simpson debuts his hilarious new DVD, "Clean If It Kills Me." (APRIL 2014) The Duggar family (from TV's "19 Kids and Counting") invited the Collingsworth Family to their home after attending their concert. Sheri Easter takes the Polar Plunge! 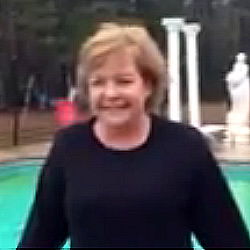 (MARCH 2014) Homecoming friend Sheri Easter takes the "Polar Plunge" challenge to raise money for charity. 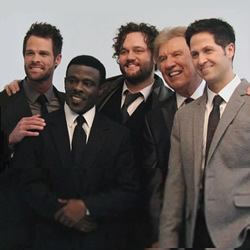 A New Era for the Gaither Vocal Band! 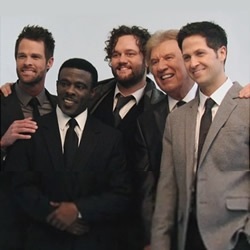 (FEBRUARY 2014) The Gaither Vocal Band has recently introduced Adam Crabb to the fold and now welcomes baritone Todd Suttles. 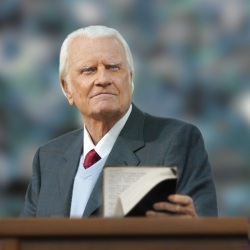 Reverend Billy Graham shared his heart and his impassioned message of faith in "The Cross," a video presentation featuring testimonies from musical artists Lecrae and Lacey Sturm. 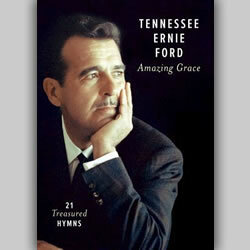 The video aired across America on November 7, 2013, Graham's 95th birthday. 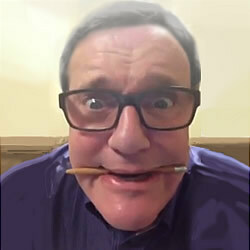 SocialCam videos featuring Jeff & Sheri Easter, the Isaacs, the Booth Brothers with guest singer Gene McDonald and "SamCam," featuring Kelly Nelon Clark's precious dachshunds! 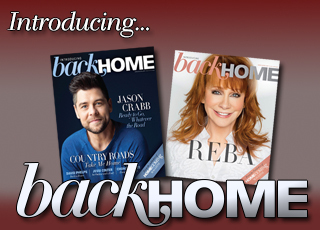 (JUNE 2013) Homecoming Magazine chats on video with Aaron & Amanda Crabb during their recent trip to Nashville. The couple shares about their new album "Mercy," new projects from Canton Junction, their debut performance at Nashville's Opry House and Aaron's mischievous childhood. 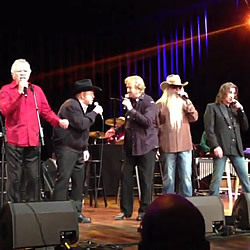 The Oaks and Roy Clark have a little talk with Jesus; Karen Peck Gooch brings an encouraging reminder; Jonathan Martin shares a little piece of cinematic history; and the siblings from the group Sisters sing a beautiful hymn with their mother. 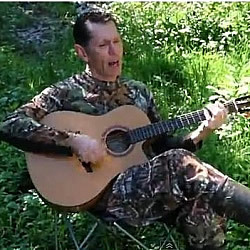 Duck Dynasty fan Tim Lovelace performs "I Can't Even Grow a Beard"
(MAY 2013) Homecoming friend and hilarious comedian Tim Lovelace laments his inability to grow a "Duck Dynasty"-style beard in this music video, "I Can't Even Grow a Beard." 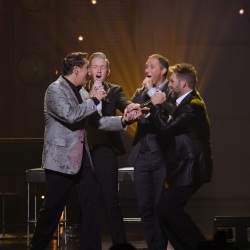 Mark Lowry tries out an unusual cure for hiccups; Logan Smith captures Jason Crabb singing his heart out; and Joe Bonsall shares a sweet memory of the late George Jones. 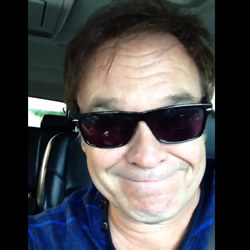 (APRIL 2013) Funny, inspiring and touching moments captured on SocialCam featuring Mark Lowry, Michael English, Joe Bonsall, Jeff Easter and the Gaither Vocal Band.